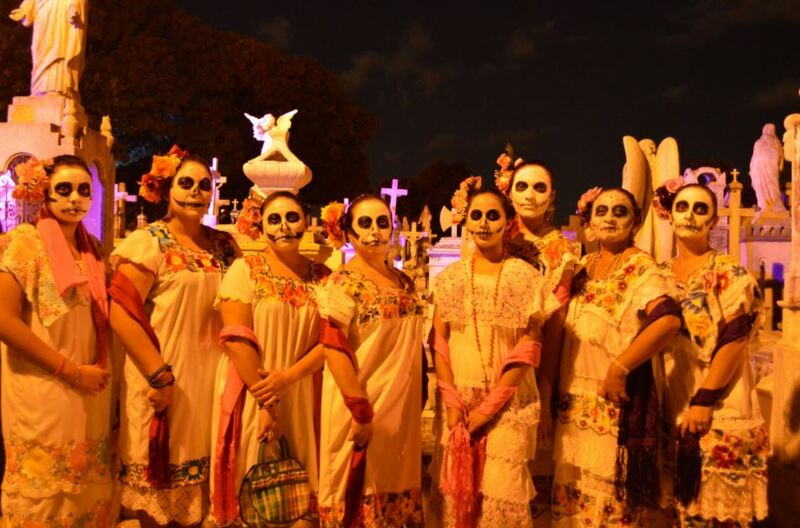 Halloween: a veritable minefield of over-eating and cultural appropriation. The latest public figure to be accused of fancy dress racism, after Kim Kardashian was criticised for dressing as dead black icon, Aaliyah, is British comedian David Walliams. 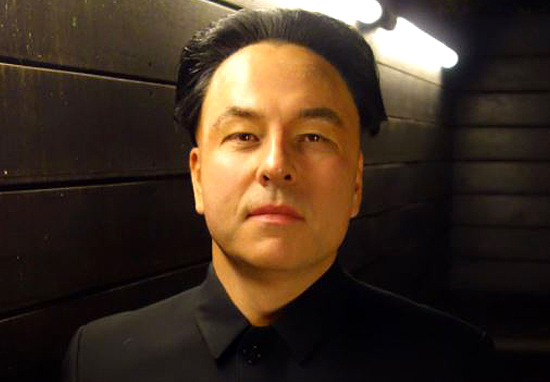 The notoriously tongue-in-cheek TV personality took the opportunity to dress up as the so-called Supreme Leader of North Korea, Kim Jong-un. From a distance, Walliams seems to pull of the costume pretty well, having donned a typical black shell suit in the despot’s trademark style. 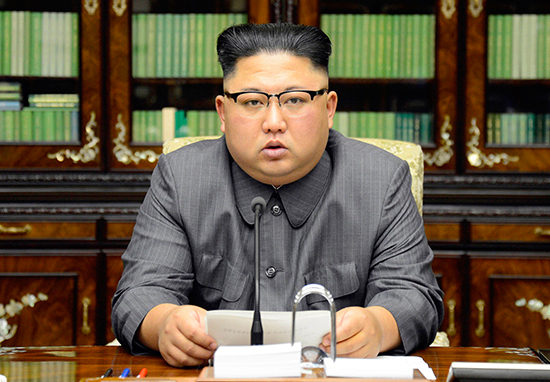 The 46-year-old, who was attending Jonathan Ross’ annual pagan party, even nailed Kim’s unique haircut. Paparazzi pictures from the night seem to hide his sins in full-length photographs, and his political correctness remained seemingly intact. On closer inspection, not so much. Taking to Twitter, Walliams, who has a tentative track records with offending minorities in the name of comedy, shared a close-up of his costume, which extended beyond an outfit and a haircut. The comedian had gone all out to replicate the dictator’s aesthetic, even using prosthetics to alter his eyelids and what one observer dubbed ‘pasty yellow makeup’. The Little Britain star has now been accused of ‘yellow-face’ and branded a ‘racist’, thanks to these totally unnecessary additions to what was already a recognisable costume, without the crude imitation of facial features. Meanwhile, of course, an argument ensued in verbal bouts of 140 characters, with many other dubbing Walliams’ accusers the usual insults of ‘over-sensitive snowflakes’ who don’t have a sense of humour. The debate begs the question: can dressing up as an individual, a despicable one at that on a holiday which highlights the world’s horrors, translate into an offensive stereotyping of an entire culture? Or did Walliams intend to belittle this evil dictator, rather than the North Korean people, and simply overstep the mark in a misguided display? Regardless, Walliams has been on the comedy circuit for some years now, and his sense of humour hasn’t quite caught up to the public’s developing sensibilities. Even his Little Britain co-star Matt Lucas said recently that certain aspects of their oeuvre would be ‘too offensive’ today, adding it would be ‘very hard to play characters of other races now… we would definitely approach it very differently’. We made a more cruel kind of comedy than I’d do now. Society has moved on a lot since then and my own views have evolved. Now I think it’s lazy for white people to get a laugh just by playing black characters. Other commentators also suggested it was insensitive of Walliams to dress up as Kim Jong-un just a day after it was reported 200 North Korean civilians died when a tunnel collapsed near a nuclear test site in the north-east of the hermit nation. Which begs another question: even if it’s in your job description as a comedian, should anyone make light of a dictatorial regime so terrible it leaves its citizens starving and throws the world into an unstable state of impending nuclear war? Meanwhile, other attendees got their costumes right – and managed to not to offend anyone – with Alan Carr rocking up as Gemma Collins and Ed Sheeran coming as a pink-clad pimp. Surely, it is always, always best to avoid being the antagonistic a**hole who revels in offending others from a position of white privilege?